In Canada, Partners in Flight functions as one of the four pillars of the North American Bird Conservation Initiative in Canada (the others are the initiatives for waterfowl, waterbirds and shorebirds) rather than as a stand-alone program. NABCI Canada coordinates the efforts of partners to protect, restore and enhance bird populations and habitats. Members include federal, territorial and provincial governments, conservation NGOs, private sector organizations, representatives from Habitat Joint Ventures, Through cooperative planning and implementation, the partners will achieve their own goals, while helping make the vision of NABCI, and Partners in Flight a reality. 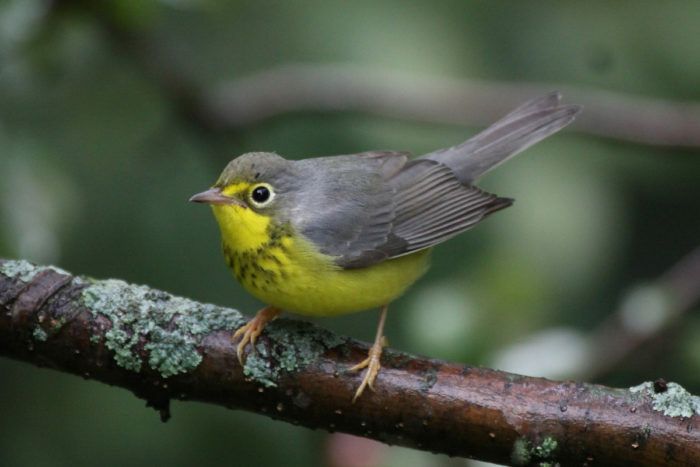 Work is centered around implementing the conservation recommendations in a suite of 25 Bird Conservation Region strategies to respond to threats identified to priority species in all species groups throughout their annual cycles. In 2017, NABCI Canada will renew its vision and mission and update its structure, work plan and website. As the largest group of species, landbirds, and Partners in Flight, will remain a central focus of Canadian bird conservation efforts.